The development and research will focus on the future of homes, buildings, industry and smart grids, as well as the future of renewable energy, power, heat and digital technologies for energy. 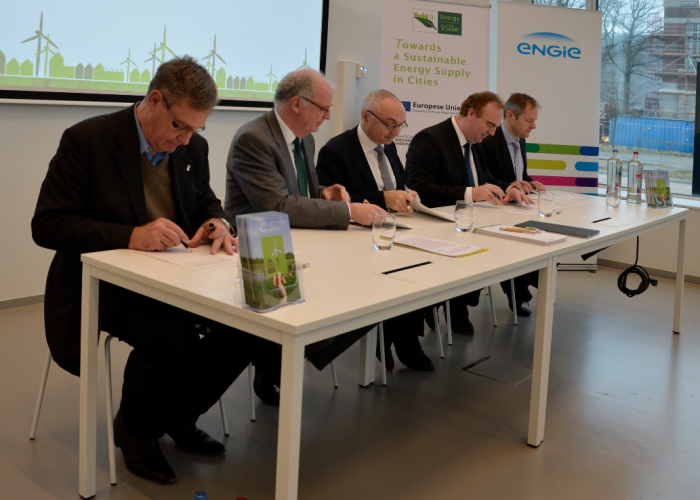 Genk, 25 January 2017 – Today, ENGIE Benelux, ENGIE Labs network and the research partners of EnergyVille, KU Leuven, VITO and imec, have signed a collaboration agreement at the premises of EnergyVille in Genk, Belgium. The agreement covers a range of collaborative tasks in the field of smart energy systems of the future. With the complementary technical skills and state-of-the art measuring and testing equipment available at EnergyVille and the several ENGIE Labs, this cooperation is an important step towards developing new and innovative solutions for the energy market. As a key player in the energy transition, ENGIE develops practical solutions to fight climate change and reduce carbon emissions. 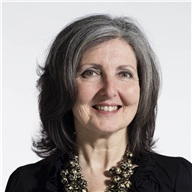 To support this ambition, ENGIE leads a strong R&D activity based on an international network of research centers, the ENGIE Labs. EnergyVille is an association of the Flemish research institutes KU Leuven, VITO, imec and UHasselt which focuses on sustainable decentralized, decarbonized and digitalized energy systems. Since this directly coincides with the core of ENGIE’s technological strategy; ENGIE Benelux, ENGIE Labs and the research partners of EnergyVille have joined forces to test and develop new solutions for ENGIE customers. ENGIE Benelux, via ENGIE Electrabel, and the ENGIE Labs, via ENGIE Lab Laborelec, the major R&D center of ENGIE, located in Belgium, already have a long lasting successful cooperation with the EnergyVille research partners. Over the past years, collaborative research has been mainly carried out in grid balancing, notably via the Linear project (coordinated by VITO and jointly developed with KU Leuven) that analyzed how to match new renewable and fluctuating energy sources with demand from end users (via demand side management). More recent collaborations have led to the setup of a joint KU Leuven / ENGIE 3D Printing Lab and Fab Lab (focused on metallic parts printing) and the technical support of ENGIE Labs to the Belgian Solar Car team run by KU Leuven students. Imec on its side has actively contributed to ENGIE tech scouting capacities in the field of new materials for solar energy leading to recent investment of ENGIE in Heliatek, a world leader in Organic PV. Research topics that are currently being covered with the EnergyVille research partners are smart inverter testing for solar panels, the health monitoring of batteries, coating tests for photovoltaics and new technology bricks for the grid integration of renewable energy sources. Raphael Schoentgen, ENGIE Director for Research & Technologies, confirms: “We have a long lasting working relationship with the EnergyVille research partners that has proven very successful. As our strategic views of the future of grids, and technological bricks to work upon to enhance them, are strongly aligned, our new collaboration agreement aims to go one step further”. Several types of activities are foreseen, including joint research and development projects and technological watch, support actions such as joint workshops to facilitate knowledge sharing, joint communication on new topics in the energy field and hackathons. The development and research will focus on the future of homes, buildings, industry and smart grids, as well as the future of renewable energy, power, heat and digital technologies for energy. EnergyVille and the ENGIE Labs have complementary state-of-the-art knowledge in both electrical equipment and grid management as well as their digitalization, which, at a time where the grid needs to integrate much more renewable energy and become smarter, is triggering the emergence of new ideas and new solutions. A first development project is the connected home, focusing on the implementation of a new digital tool for advising residential customers on the choice of energy solutions for their home.